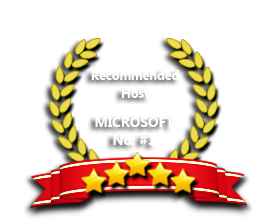 ASPHostPortal.com, Microsoft No#1 Recommended Spotlight Hosting Partner, is now providing this FREE DOMAIN and DOUBLE SQL Space promotion link for new clients to enjoy the company's outstanding web hosting service at a low cost from just $4.49/mo. FREE DOMAIN Offer is restricted to .com / .net / .org / .info / .biz new domain registration only. Use Promo Code "FREEDOMAIN"
This offer valids for Host Two Yearly Plan or above, plus any of the Cloud Hosting & Reseller Hosting paid YEARLY. . This offer cannot be combined with any other active offers that we have. Use the Promo Code "DBSQL" (without quotes) and receive double SQL Server Space ! This offer valids for Host Two Yearly Plan or above, plus any of the Cloud Hosting & Reseller Hosting paid YEARLY. This offer cannot be combined with any other active offers that we have.